Home » News » Lab alum Vivian, Christine, and Amanda are in medical school together at Duke! Lab alum Vivian, Christine, and Amanda are in medical school together at Duke! 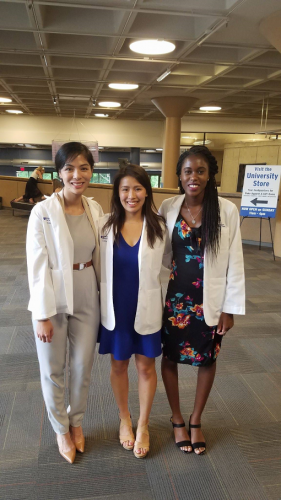 We are so proud of former undergraduate students of the Horsley Lab – Vivian Lei, Christine Wu, and Amanda Farrell – who are now pursuing their medical degrees at Duke University School of Medicine. Sending all of our best to these physician scientists in training!